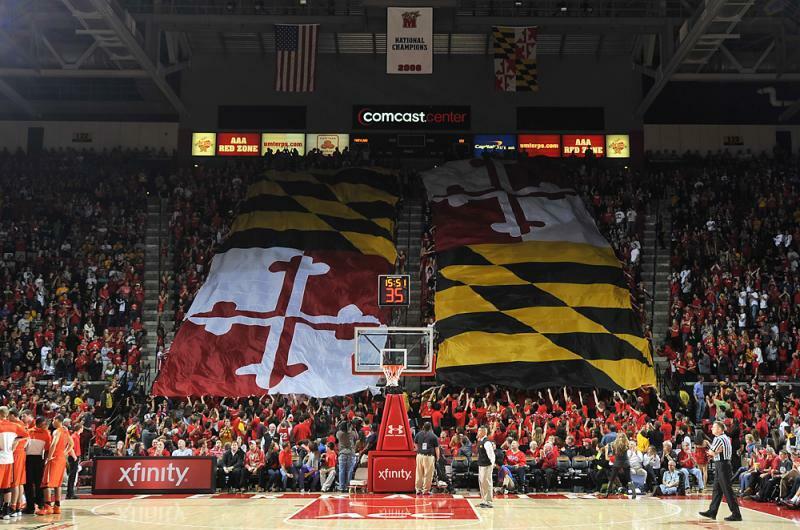 Maryland Pride becomes yours at the Xfinity Center. 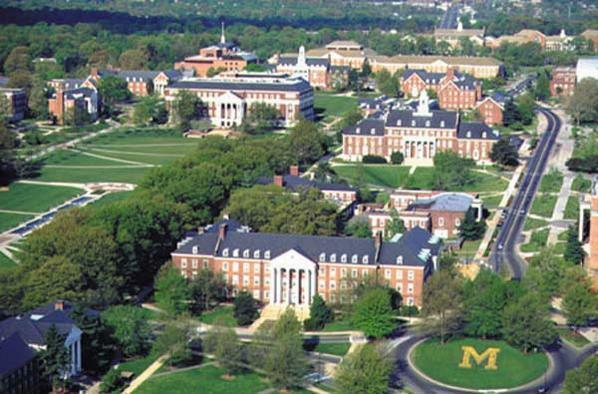 Spacious, Secluded, and Special - that's the University of Maryland! Expansive air-conditioned summer lodging close to dining & meeting spaces. 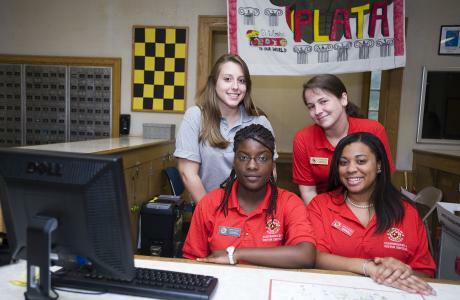 Residence Hall Service Desk - Hospitality assistants always at your service! The Diner - one of several on-campus eateries. 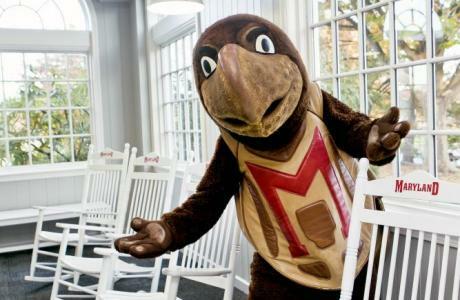 ...to small, elegant meetings, the University of Maryland has it all. Technical Services designed to make any meeting a great experience. 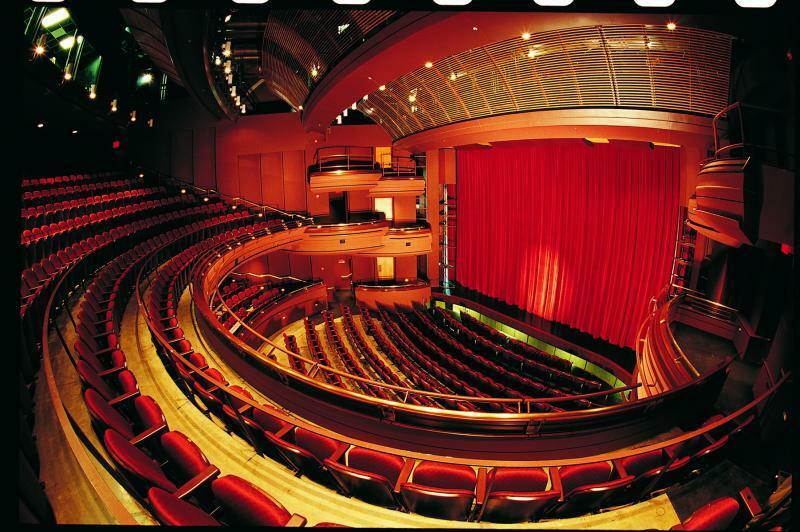 Performance venues can become Program venues at The Clarice. 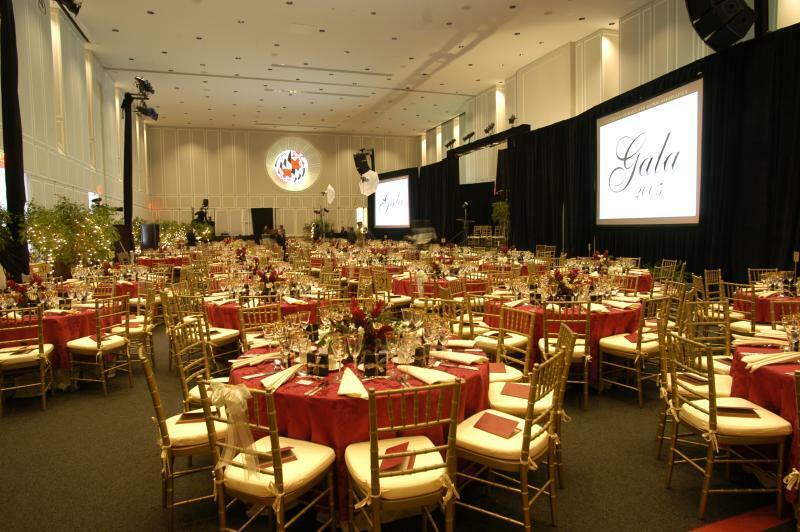 Gala Celebrations at the Riggs Center always spell success. The beautiful Moxley Gardens at the Samuel Riggs IV Alumni Center. The Rever Hall of Fame looks out on Moxley Gardens at the Riggs Center. 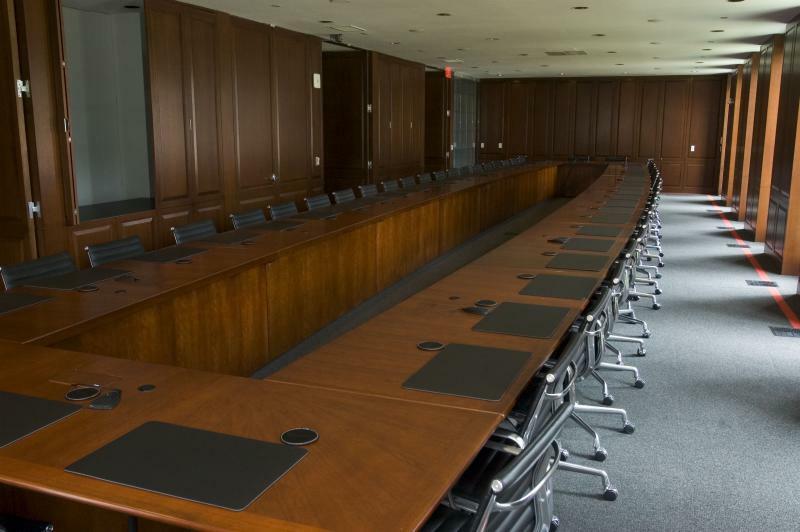 The Crist Boardroom in the Riggs Center is a favorite meeting place. 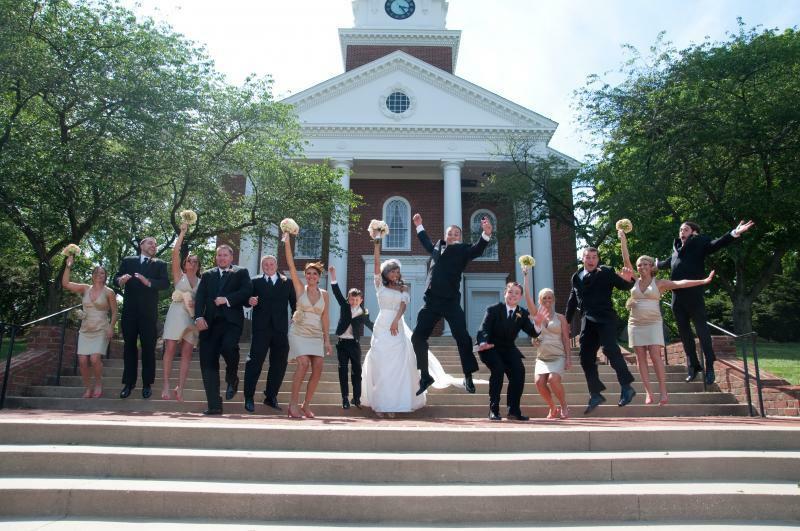 Weddings and more are always in store at the Memorial Chapel. 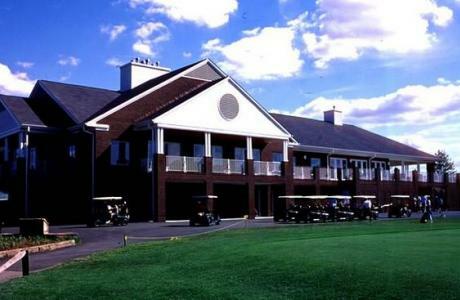 The University Golf Course is also available for banquets and meetings. Ritchie Coliseum offers many unique opportunities for programs. 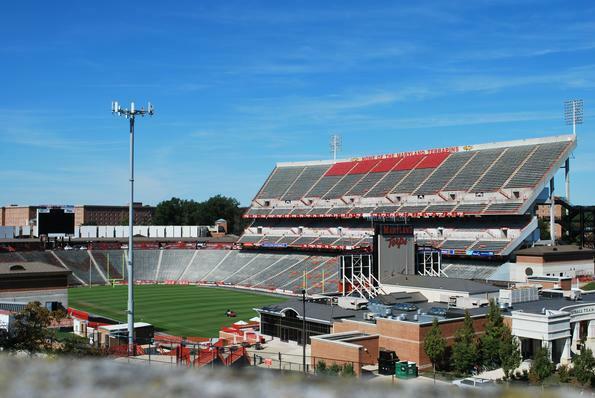 Capital One Field at Byrd Stadium - the Home of the Maryland Terrapins! 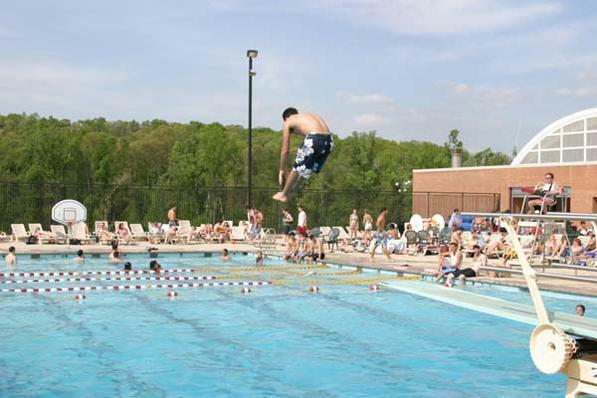 If you like our Outdoor Pool, you'll be amazed at the one we have Indoors. Our Climbing Wall & Ropes Course is a terrific opportunity for team-building . 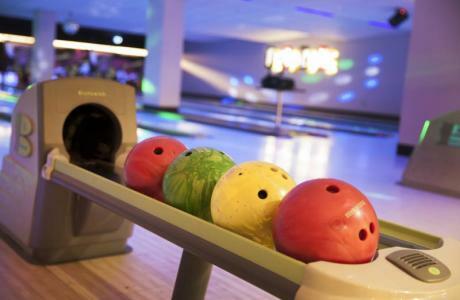 The TerpZone offers bowling, billiards, and video and arcade games. 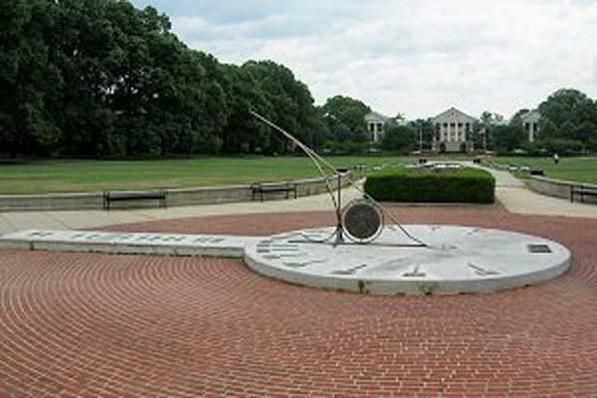 The Sun Dial on McKeldin Mall is a great place for thought and reflection. Our Motorcoach Charters make side trips a breeze. We hope that you will "Make Maryland Your Destination"
...and allow us to offer you a warm Maryland Welcome! The University of Maryland, College Park, is located just nine miles from Washington, DC and all the treasures of the nation's capital. 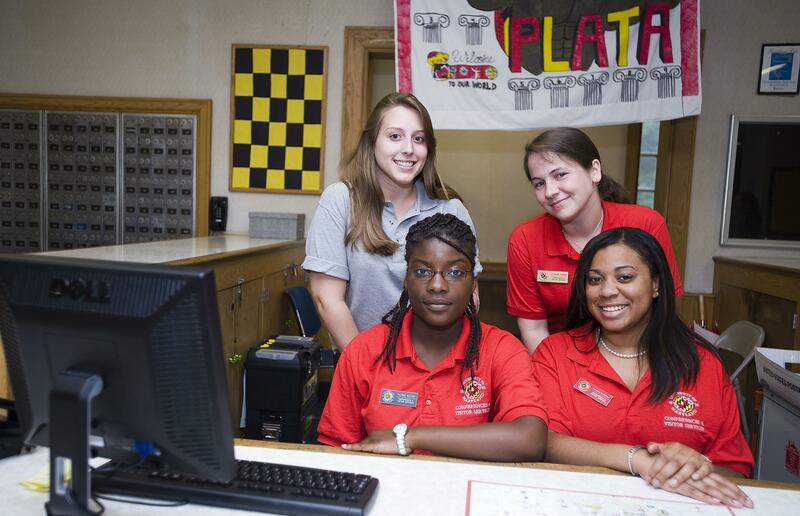 Each summer we offer student residences and cafeteria style meals for meetings, conferences, and youth programs. 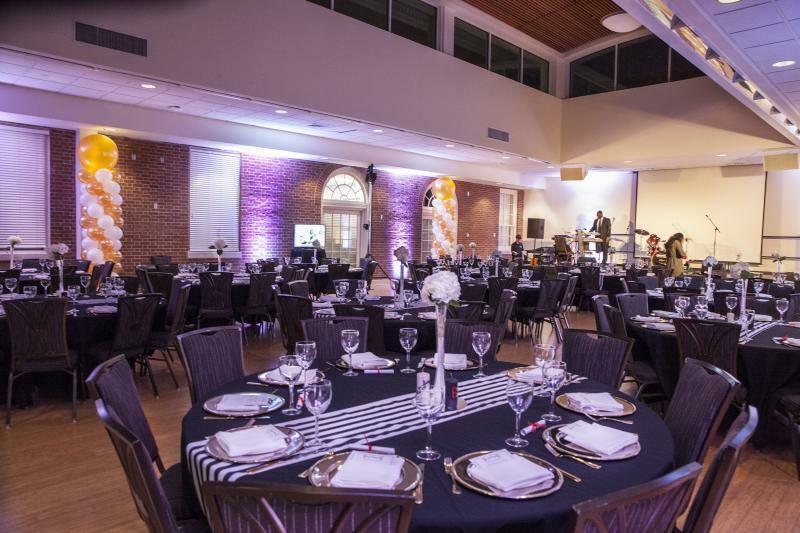 Throughout the year, special events, seminars, weddings, trade shows, conferences, and athletic events can be arranged in one of our many outstanding facilities. 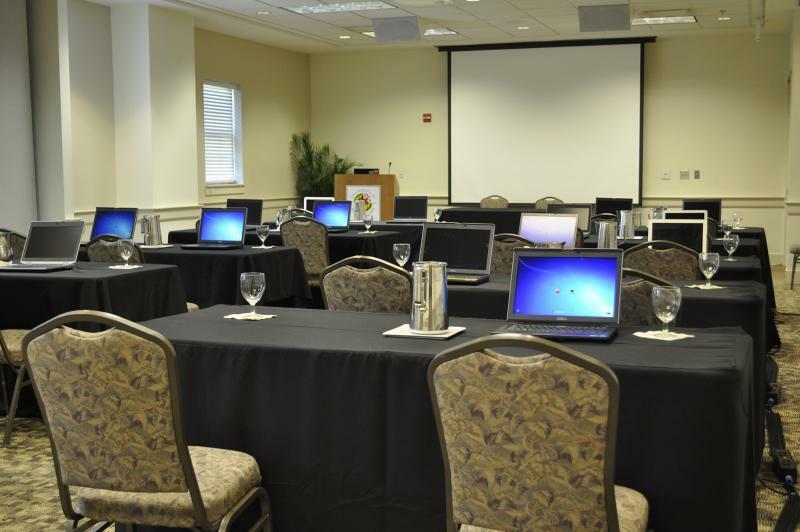 We’re confident that our Washington, DC area banquet and conference space is the perfect location for your unique needs. 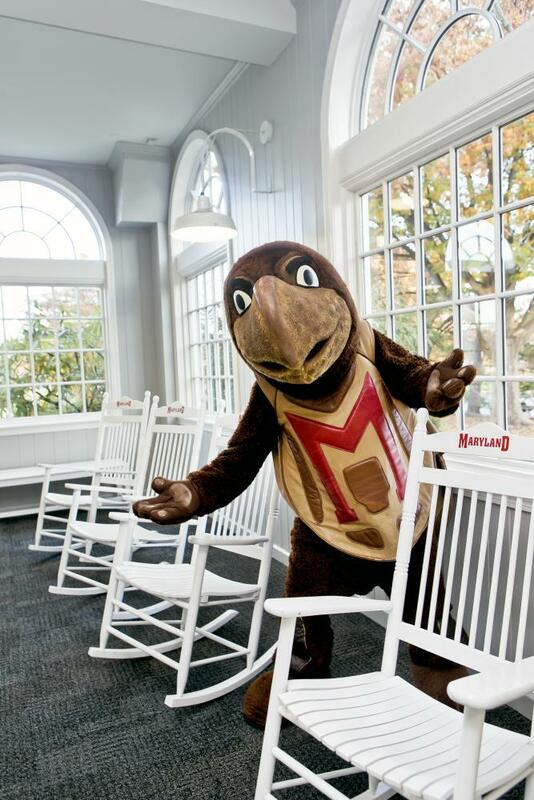 Washington, DC area lodging is available on-campus during the summer only, but year-round College Park meeting/event facilities are available in many campus venues. University of Maryland offers computer labs for rental, Ethernet connections in residence halls and meeting spaces; and wireless internet access throughout campus. Complete audio-visual support is available in-house. Full-service catering provided by University Dining Services. 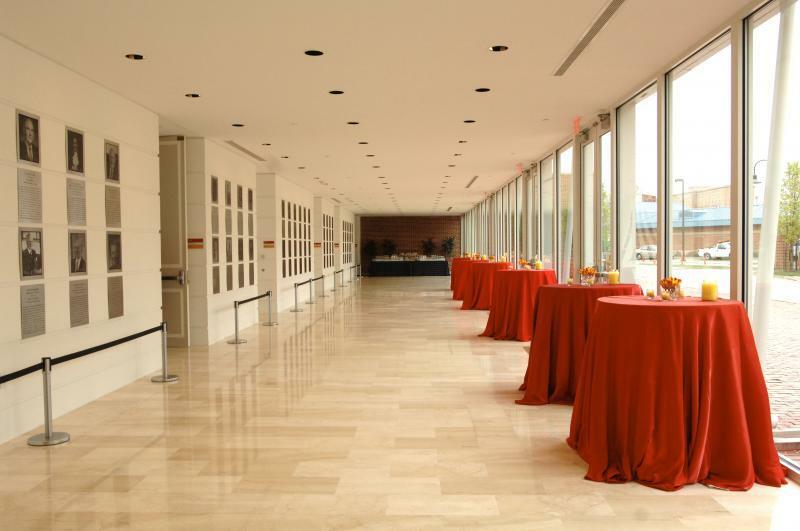 While our primary mission is to serve programs with an educational element, we will also host parties, weddings, and wedding receptions in some of our many Washington, DC area venues. Samuel Riggs IV Alumni Center, AAI Conference Room	 Alumni Association-International Conference Room is located in the Samuel Riggs IV Alumni Center at the University of Maryland campus. Samuel Riggs IV Alumni Center, Legacy Plaza	 The Legacy Plaza is located in the Samuel Riggs IV Alumni Center at the University of Maryland campus. Samuel Riggs IV Alumni Center, Orem Alumni Hall	 The Orem Alumni Hall is located at the Samuel Riggs IV Alumni Center at the University of Maryland campus. 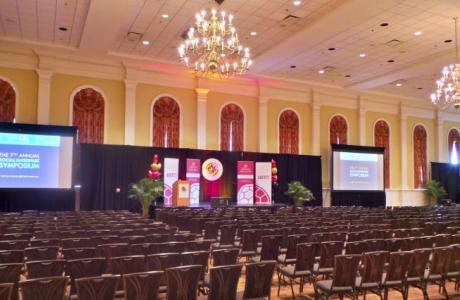 With room for nearly 500 guests, this hall is ideal for major announcements and celebrations. 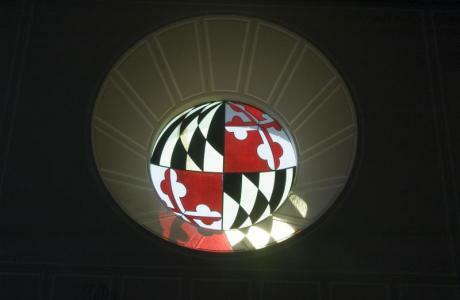 The hall is complete with stained glass ocular, grand fireplace, clerestory windows, and high-tech AV equipment. Ritchie Coliseum	 Located on Route 1, Ritchie houses an arena (11,500 sq ft - cap 1,400) and 1,180 sq ft mulit-purpose room. Reckord Armory	 Located off Route 1, the Armory houses a 28,800 sq ft gymnasium. Samuel Riggs IV Alumni Center, Philip R. Rever Alumni Hall of Fame	 The Philip R. Rever Alumni Hall of Fame is located in the Samuel Riggs IV Alumni Center at the University of Maryland campus. With room for up 225 guests, the Hall of Fame overlooks the terrace and gardens and boasts travertine marble floors and a glass facade. This room is suitable for presentations as well as receptions and dinner parties. 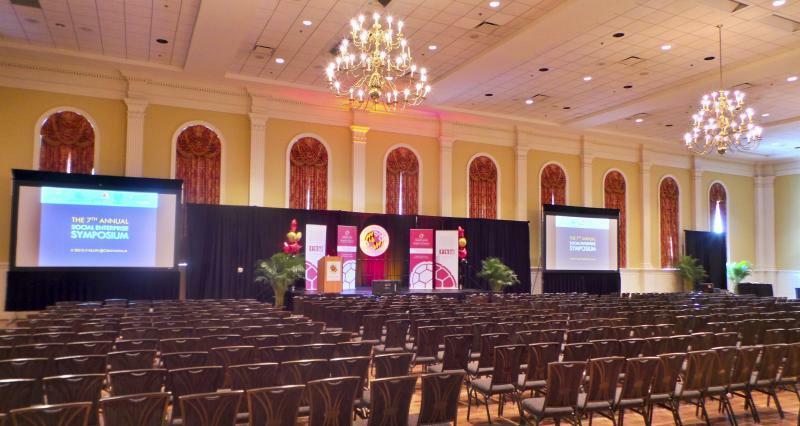 Student Union, Grand Ballroom	 Elegant with wood floors, chandeliers, and cathedral ceilings. Perfect for banquets, conferences and wedding receptions. Samuel Riggs IV Alumni Center, Shipp-Wantz Conference Room	 The Shipp-Wantz Conference Room is located in the Samuel Riggs IV Alumni Center at the University of Maryland campus. This room can hold 20 people, and can be divided in half for smaller groups. 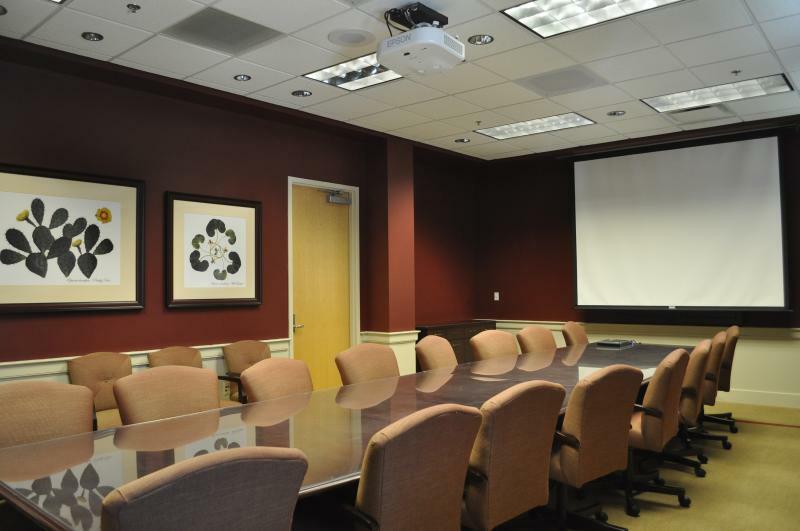 It is equipped with Plasma screen TVs, video teleconferencing, LCD projectors, as well as high-speed wireless internet access. Samuel Riggs IV Alumni Center, Chaney Library	 The Chaney Library is located in the Samuel Riggs IV Alumni Center at the University of Maryland campus. Student Union, Colony Ballroom	 Circular windows, brass chandeliers, and wood floors. 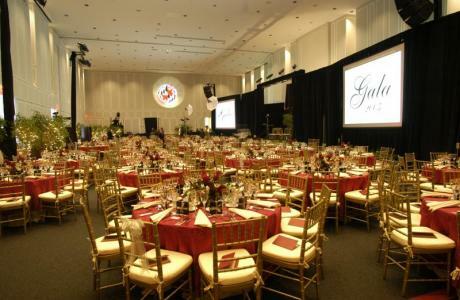 Ideal for banquets, conferences, wedding receptions and lectures. Samuel Riggs IV Alumni Center, Executive Patio	 The Executive Patio is located in the Samuel Riggs IV Alumni Center at the University of Maryland campus. Samuel Riggs IV Alumni Center, Maryland Club	 The Maryland Club is located in the Samuel Riggs IV Alumni Center at the University of Maryland campus. Student Union, Atrium & Prince George's Room	 Recently renovated, casual setting for smaller functions. Samuel Riggs IV Alumni Center, Crist Boardroom	 The Crist Boardroom is located at the Samuel Riggs IV Alumni Center at the University of Maryland campus. Student Union, Hoff Theater	 A film theater that's ideal for lectures, concerts, dance recitals and DVD/Video presentations. Samuel Riggs IV Alumni Center, Edlavitch-Tyser Conference Room	 The Edlavitch-Tyser Conference Room is located in the Samuel Riggs IV Alumni Center at the University of Maryland. Student Union,Banneker and Margaret Brent	 Large meeting rooms that can be divided into 2 separate rooms with carpet and projector. Student Union, Juan Ramon Jimenez	 Large meeting rooms with carpet, wall-mounted whiteboard, projector and screen. Samuel Riggs IV Alumni Center, Young Garden Terrace	 The Young Garden Terrace is located in the Samuel Riggs IV Alumni Center at the University of Maryland campus. Samuel Riggs IV Alumni Center, Tailgate Terrace	 The Tailgate Terrace is located in the Samuel Riggs IV Alumni Center at the University of Maryland campus. Student Union, Nanticoke, Pyon Su & Thurgood Marshall	 Smaller meeting rooms for 40 people with carpet, whiteboard, projector, and screen. Student Union,Harriet Tubman & Edgar Allen Poe	 Small conference rooms that can accomodate 8 to 16 people. Student Union, Calvert and Crossland Rooms	 Cherry wood conference table that accomodates 16 features projector screen, sound system, whiteboard and projector. Samuel Riggs IV Alumni Center, Moxley Gardens	 The Moxley Gardens is located in the Samuel Riggs IV Alumni Center at the University of Maryland campus. 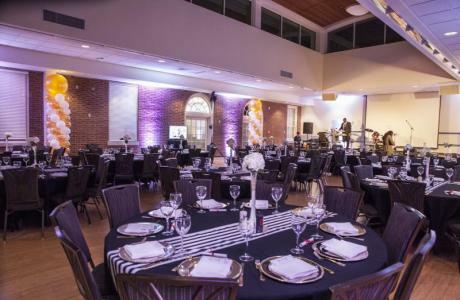 William L. Thomas, Jr. Banquet Room/Pavillion	 Perfect for weddings, dinner parties, banquets, and professional meetings and conferences. Full service catering, custom menus, light-filled spaces with vistas of tree-lined greens. At the University Golf Course. Selections may be made from our Catering Guide. We encourage guests to work with us to develop custom menus. Full Service. We'll bring your refreshments to you! Select from our menus or discuss custom options with our staff. Deli and luncheon trays, boxed meals, special treats from our on-campus bakery, picnic supplies, and refreshments for meetings. Order 24 hours in advance and pick up your selections from one of our conveniently located shops. Hungry? No time? Log on to our site and order from Sbarros. We'll have your pizza and beverages ready when you arrive. Spacious dining rooms and convenient serving access. Wireless access. 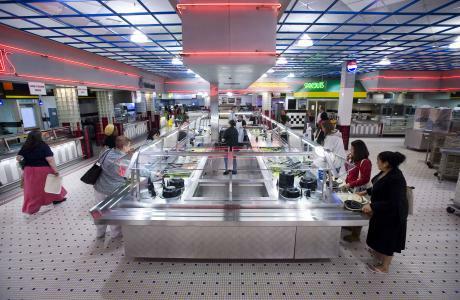 Food court-style service maximizes dining options. High-energy servery with comfortable dining areas. Wireless access. 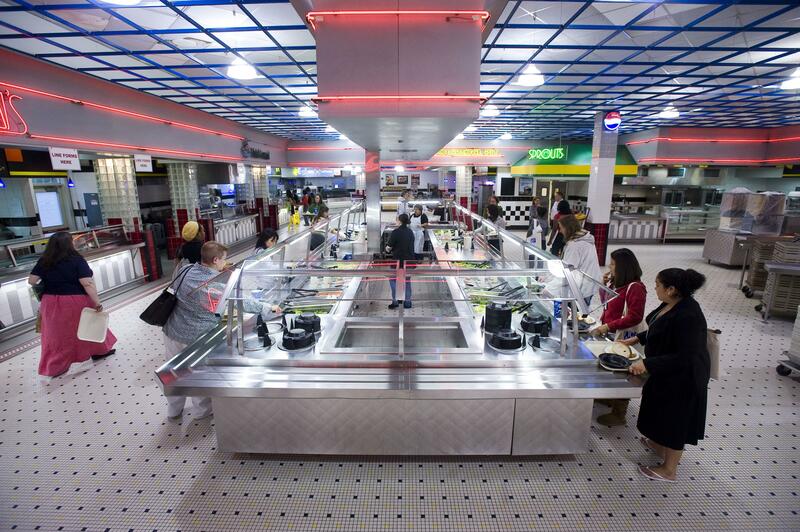 Food court-style service maximizes dining options. Featuring famous-name quick service shops like Taco Bell Express, Sbarro, Steak Escape, McDonalds, Panda Express, Subway, and Chic-Fil-A. Experience cutting edge cuisine and classic Maryland dining. Full-service restaurant available for private parties. Beer and wine license. The 19th "watering" hole is a popular gathering place for golfers, faculty/staff, and the community. 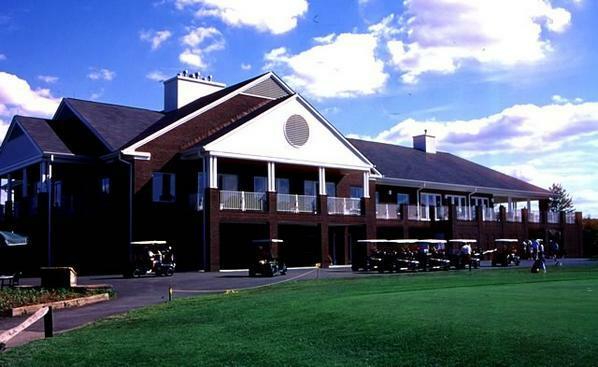 Full-service bar, clubhouse menu, nightly specials. Challenge Course Program	 A high/low ropes course for use by groups seeking to develop confidence, teamwork, better communication, and/or problem solving skills. UM Shuttle Services	 Campus Shuttle buses provide regular transportation from the Stamp Student Union to the Washington Metro and evening on campus routes. Shuttles are also available for contract for off site trips to the surrounding attractions or for dedicated on campus transportation. Registration and Meeting Planning Services	 Full service meeting planning and on line pre-registration services are available for UM faculty and staff planning professional conferences and meetings. Campus Wireless Network The UMD wireless network provides wireless access to Internet resources without the need of a wired connection. The UMD Wireless network is one of the largest in the country with over 2,000 access points providing convenient wireless access in more than 100 buildings, including every academic building as well as the Stamp Student Union, the Visitor Center and McKeldin and Hornbake Libraries. Campus visitors may be accommodated for temporary access to the wireless network thru the Wireless Access for Guests program. CVS can arrange for guest authentication IDs which can then be used by sponsored guests to access the UMD wireless network. 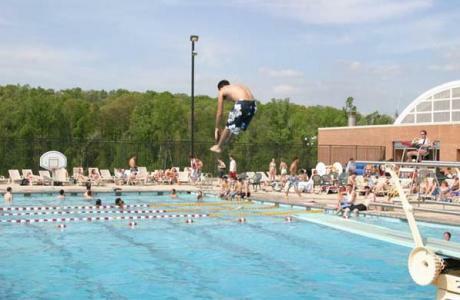 Eppley Recreation Center (ERC)	 Located on north campus between Cambridge and Ellicott communities, the ERC includes the Outdoor Aquatic Center and the Maryland Adventure Program. Inside you’ll find a track, fitness room, weight room, matted room, table tennis, aerobics studio, gyms, racquetball and squash courts, instructional and deep water pools, sauna, steam room, locker/shower facilities, the REC Store, equipment issue Functional Training Studio and Sneaker’s Energy Zone. Terp Zone	 Located in the Student Union, this recreational area offers 8 bowling lanes,10 billiard tables, arcade games and a big screen T.V. lounge. Great place to rent out for exclusive use. 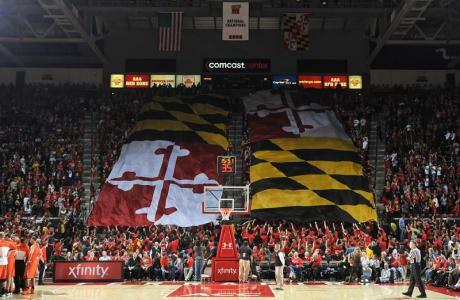 Xfinity Center	 The home to the 2002 NCAA Men's and the 2006 NCAA Women's Basketball Champions, this 17,000-seat arena is a favorite spot for sports fans of all ages to visit. Rental of facility is available. Washington D.C. The Nation's capital is just 9 miles from the University. 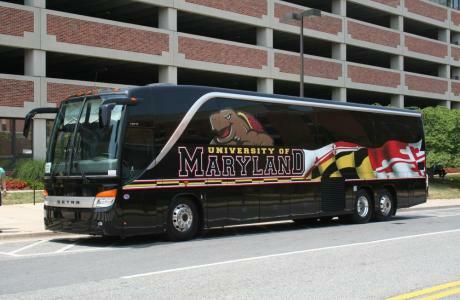 A metro stop is located in College Park and the UM shuttle bus provides service to the campus. Baltimore, MD Just a 45 minute drive to the Inner Harbor, the Baltimore Aquarium and Orioles Park at Camden Yards. Baltimore offers many attractions and fine restaurants. 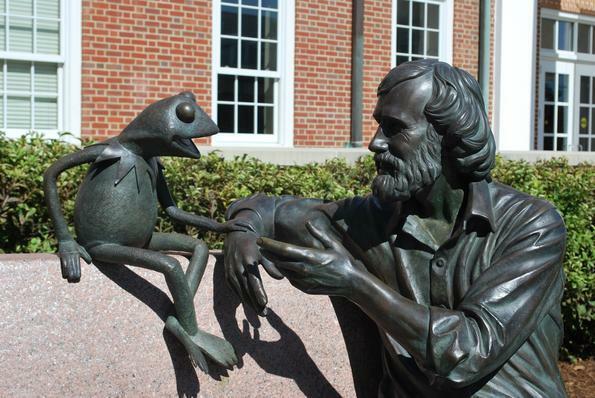 Annapolis, MD The State capital of Maryland, America's sailing capital and the home to the U.S. 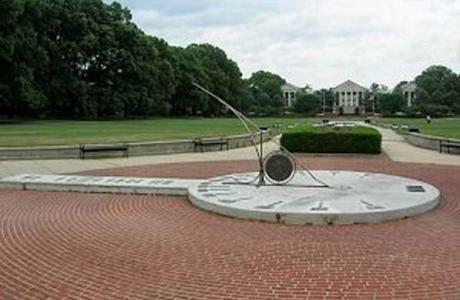 Naval Academy, Annapolis is just a 45 minute drive from the University. 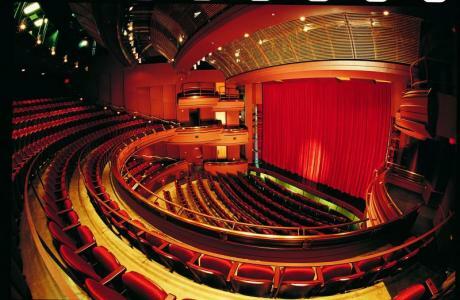 Clarice Smith Performing Arts Center	 The Clarice Smith Center at Maryland has redefined the artistic and physical landscape of the University of Maryland campus and Prince George's County. The Center continues to fulfill the mission of serving diverse regional audiences as well as campus departments and residents. The 318,000 square foot facility, located on 17 acres, has been praised for its extraordinary architecture and acoustics. 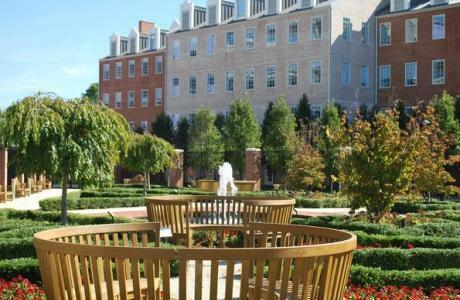 Dessie M. & James R. Moxley, Jr. Gardens/Garden Terrace	 The center's signature architecture, lush gardens of red, white, and gold, and the relaxing site and sound of a flowing fountain make this the perfect location for receptions before or after a main event. Thank you for everything regarding the services your office provided. Lisa did an outstanding job of taking care of all the little details and went above and beyond the call to ensure a smooth operation. Our attendees absolutely raved over the food and the professional, smooth and seamless orchestration of events! I want to express our appreciation for the excellent service your staff provided in running the NCCC conference at the Stamp Student Union. 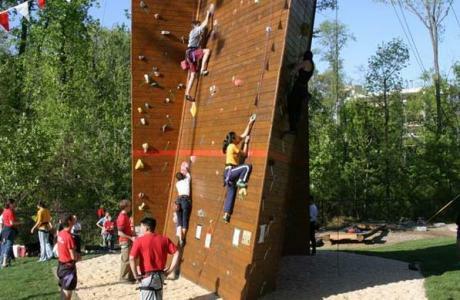 The committee was full of praise for their work and the attendees gave us rave reviews for the facilities and service. The meeting was a major scientific success but also a major logistical and organizational success and much of the credit can be attributed directly to our having worked with your office. Our thanks for a job that was more than just well done-you folks were fantastic!